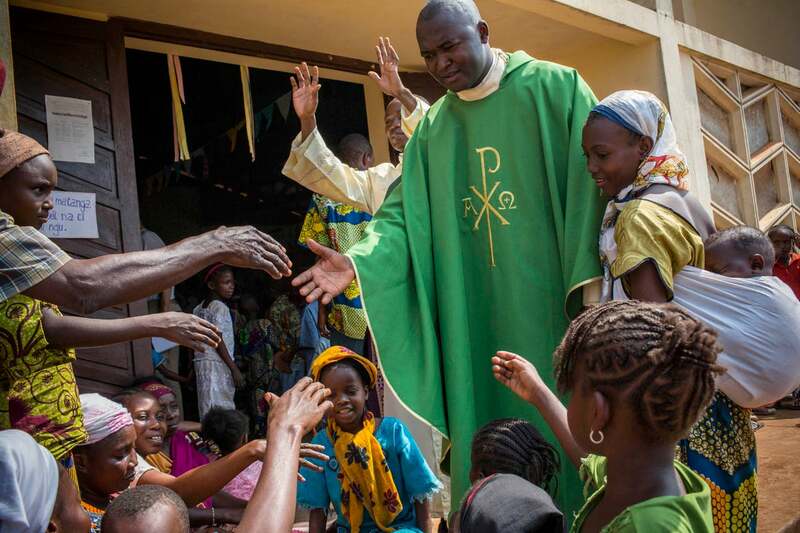 Local Christians, including children, loot and burn homes in the Muslim neighborhood of PK13 located on the outskirts of Bangui. 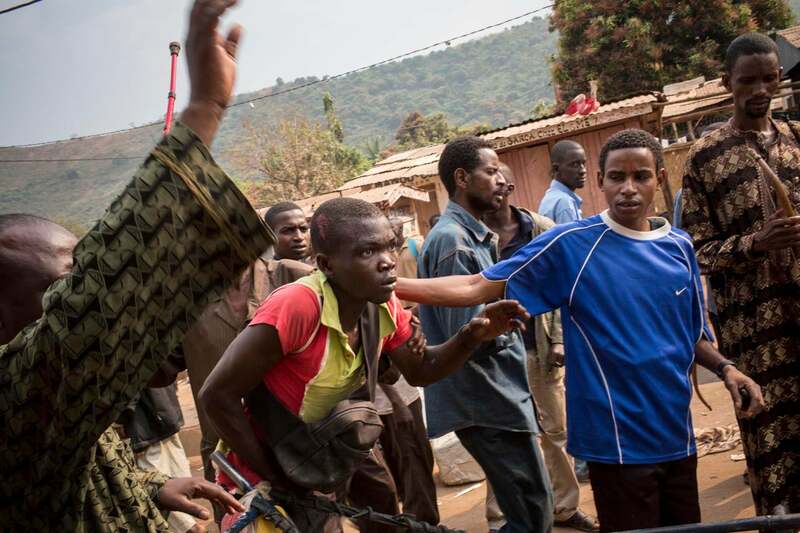 After the Seleka’s self-appointed president, Michael Djotodia, was forced from power on January 10th and fled into exile, many Seleka fighters also fled. 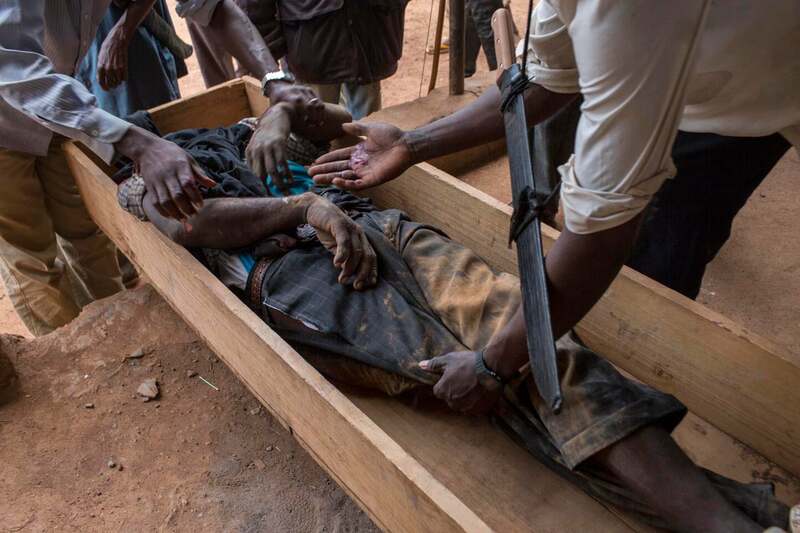 Anti-balaka forces moved in attacking and killing the Muslim population and destroying their homes and mosques. January 22, 2014. The body of Mohammed, 20, killed by a grenade from anti-balaka forces in the PK12 neighborhood of Bangui while searching for food. During preparations for his burial, the mosque was attacked and everyone had to flee. January 23, 2014. Father Xavier-Arnauld Fagba with local Muslims sheltering in his care at St. Pierre’s Church in Boyali. He sought out and offered sanctuary to 700 Muslims in his town who were under attack by anti-balaka forces. January 26, 2014.